This page contains additional resources for the Introduction class. The short video below by Steve Cutts is a commentary on humans’ connection to environmental and social issues but also directly addresses designed artifacts. 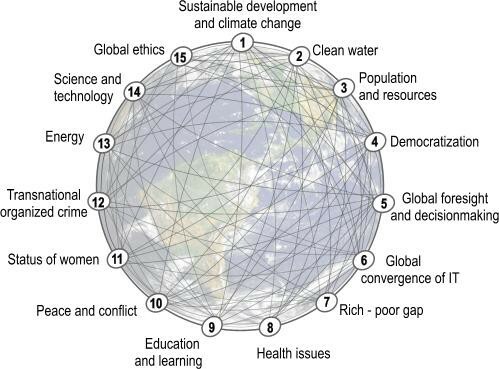 The Millenium Project tracks 15 global challenges confronting society in the 21st century and discusses their interconnections and interdependencies. 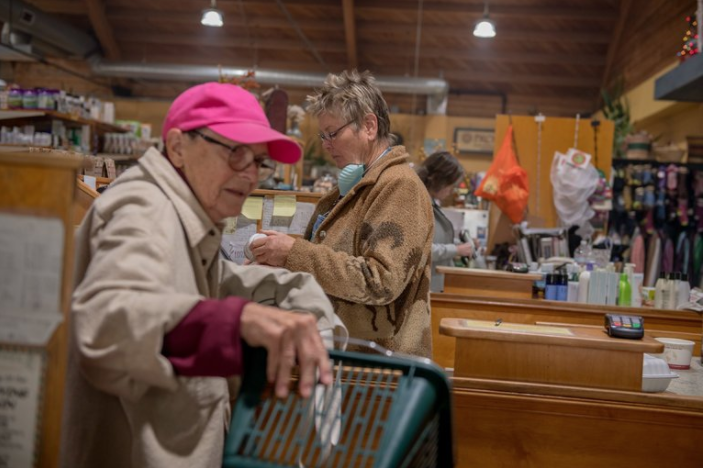 Cheryl Dahle and Terry Irwin have made several public presentations to the Ojai community explaining the Transition Design approach. Terry Irwin gave an overview of the emerging Transition Design approach and the Ojai project in the School’s Design the Future lecture series in February, 2018. 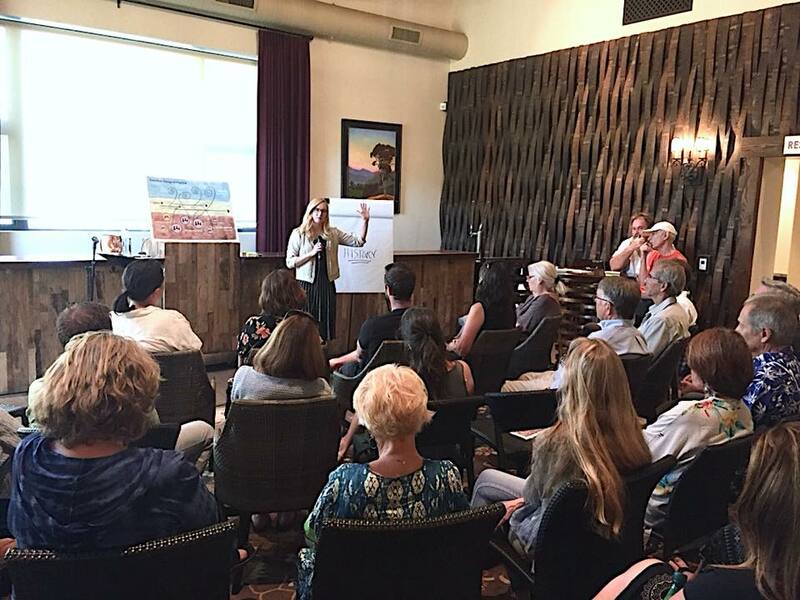 In May of 2018, Cheryl Dahle was in Ojai for a series of public events to explain the Transition Design approach to members of the community. 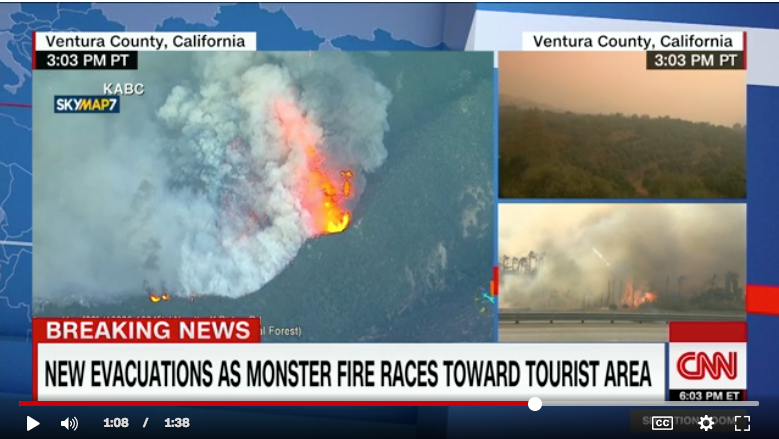 One of the events, held at the Topa Mountain winery was covered by a local news source, The Ojai Hub. Below, the hydrologist Michal Kravčík presents a radical new paradigm for water management, arguing that water cycles can be supported to enhance local climates and biodiversity, and that this could be an effective strategy for reversing climate change. 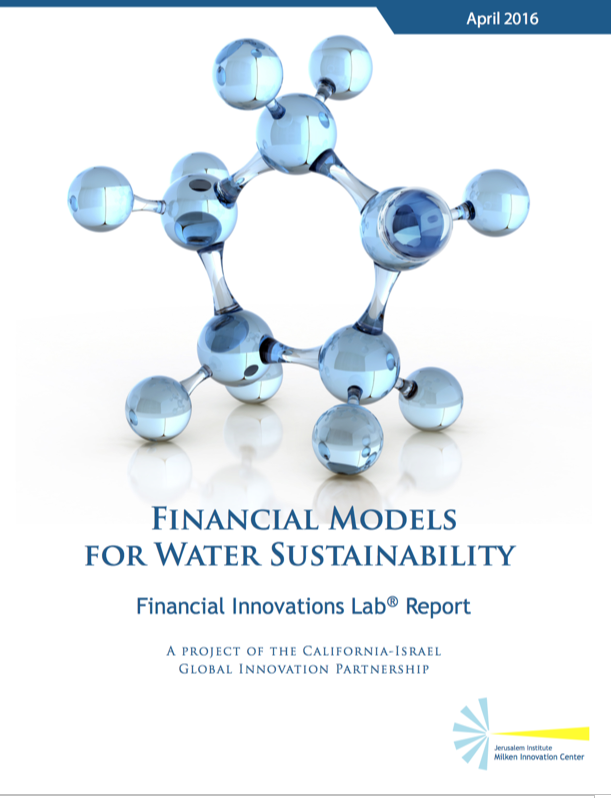 The report below, Financial Models for Water Sustainability, discusses how technological innovation has enabled Israel to address its water scarcity. It argues that this innovation can be transferred to California and other places that have similar climates. Such planet-wide and networked sharing of knowledge, skills and technology, to address sustainability issues, would be an example of cosmopolitan localism in action. 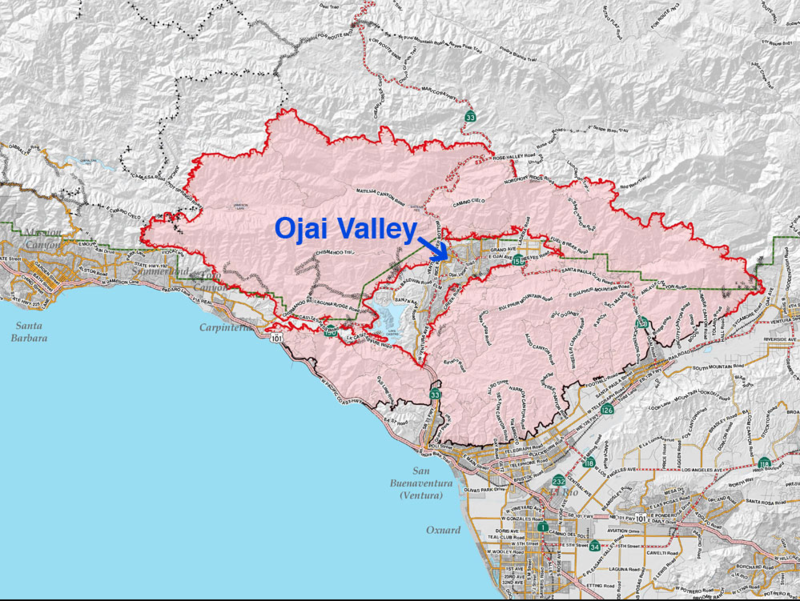 Remarkably, as this map shows, the winds which were responsible for the rapid spread of the Thomas fire dropped before Ojai was enveloped in it. 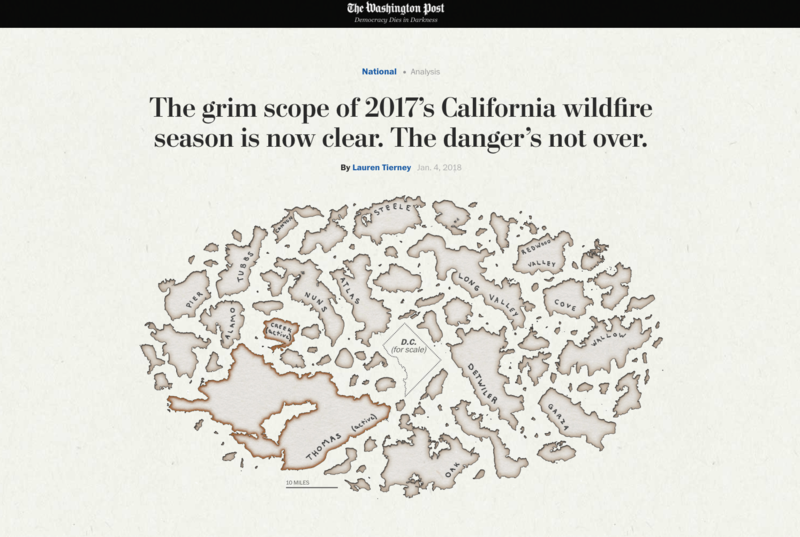 Article from the Washington Post, “The Grim Scope of 2017’s California wildfire season is now clear. 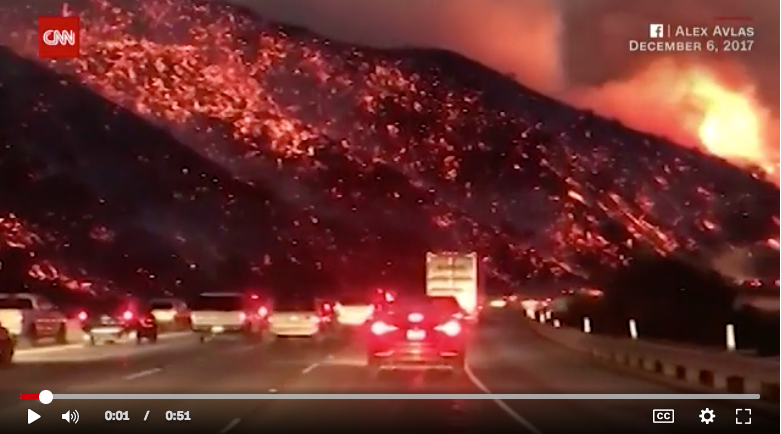 The danger’s not over.” There were, it reports, nearly 9,000 wildfires in 2017 destroying nearly 11,000 structures and killing 46 people. This page contains additional resources for the Solving the Wicked Problem of Overfishing lecture. Below, Cheryl Dahle speaks at The Service Experience Conference, 2017.